22-year-old founder of home for children in Ethiopia will address graduates of the Class of 2019. Suzanne Scheuble, founder of a home for abandoned and orphaned children in Ethiopia, will deliver the keynote address at commencement on May 11, 2019. This will be her second visit to campus as an invited speaker. Shortly after opening Lantu’s Home of Hidden Treasures in 2015, Scheuble addressed participants in the President’s Leadership Program. It was a speech so compelling and memorable that the university invited her to return. Scheuble was inspired by a visit to Ethiopia as a teenager where she witnessed abandoned babies, people dying of AIDS, and children suffering from starvation and tuberculosis. 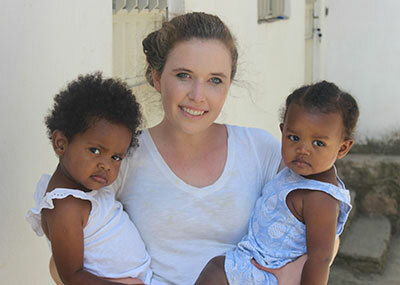 After earning a bachelor’s degree in child psychology in only two years at the University of North Florida, she consulted with pediatricians and child psychologists and raised funds to develop the first specialized care home for children in Ethiopia. Lantu’s Home of Hidden Treasures is a family-style facility providing individualized care and attention for children with special needs. Scheuble, the daughter of CNU alumnus Dan Scheuble (‘81), will address more than 10,000 graduates, families and friends on the Great Lawn. The ceremony begins at 10 a.m. and will be broadcast live on cnu.edu. Your browser does not support this iframe element.